Use Continental Carbonic’s Dry Ice Locator to find the nearest location where you can buy dry ice. Click on the links below to some of the most common questions we receive. How to make dry ice? How much does dry ice cost? How long does dry ice last? What are some cool dry ice experiments? Anticipating your shut down needs, we can provide your dry ice blasting machines and after cooler dryers. With the largest rental fleet of dry ice blasting machines in the United States, we can meet all your dry ice blasting requirements. As the Single Source Advantage, we offer dry ice blasting equipment training and blasting dry ice. 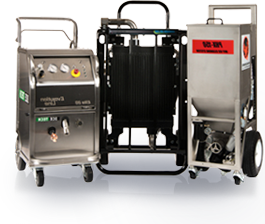 Continental Carbonic Products, Inc. is a leading manufacturer and distributor of dry ice and liquid carbon dioxide as well as the nation's largest distributor of dry ice blasting equipment. Through our reliable network of 46 dry ice distribution facilities located strategically throughout the eastern two-thirds of the United States and Ontario, Canada, we can quickly react to customers’ needs for all types of food grade dry ice including standard block, sliced block, airline cut, and high density dry ice pellets for ice blasting. 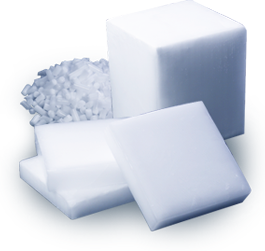 Plus, with various packaging and delivery options and competitive, stable pricing, Continental Carbonic is the leading dry ice supplier in the country. As the nation’s largest distributor of dry ice cleaning equipment, Continental Carbonic offers sales and rental of the most comprehensive line of dry ice blasters including our proprietary FREEZE CLEAN® dry ice blaster. This extensive offering of equipment and dry ice allows us to effectively match users with the right piece of equipment and dry ice for their particular applications.